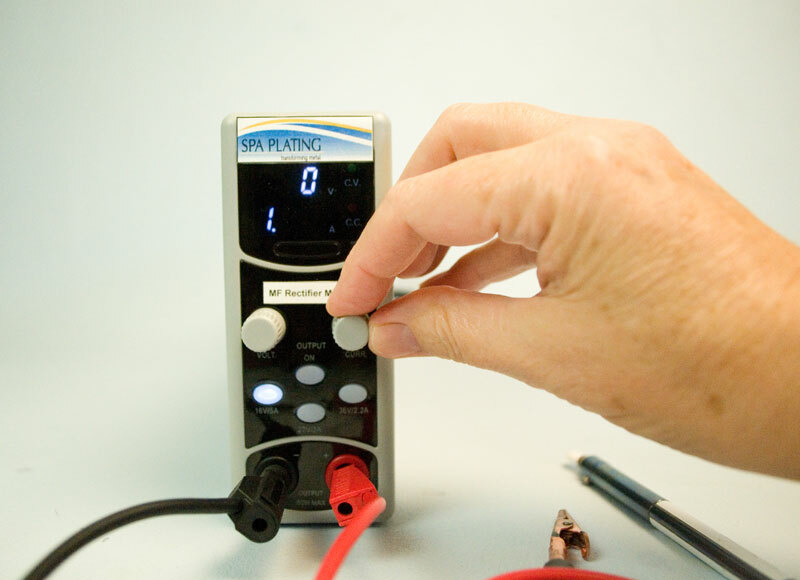 Set the current (amps) using the “CURR” dial to anywhere between 1.00 amps and 1.20 amps. 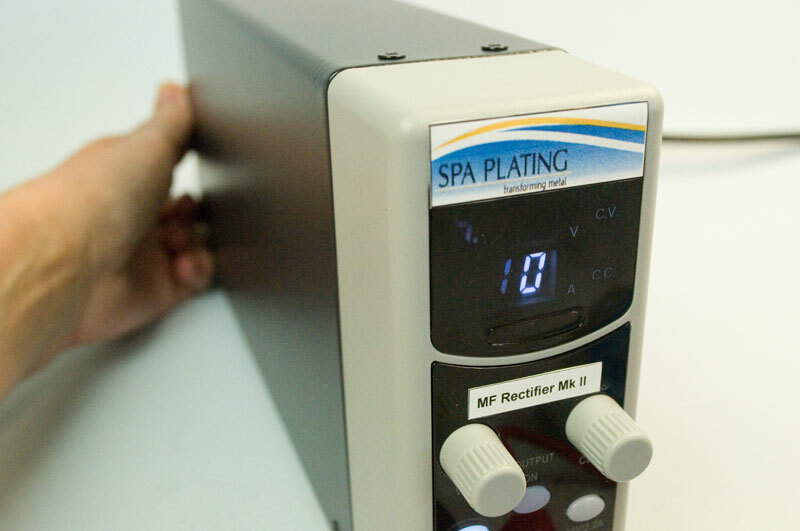 Set the voltage using the “VOLTS” dial to that quoted on your bottle of Spa Plating pen plating solution. 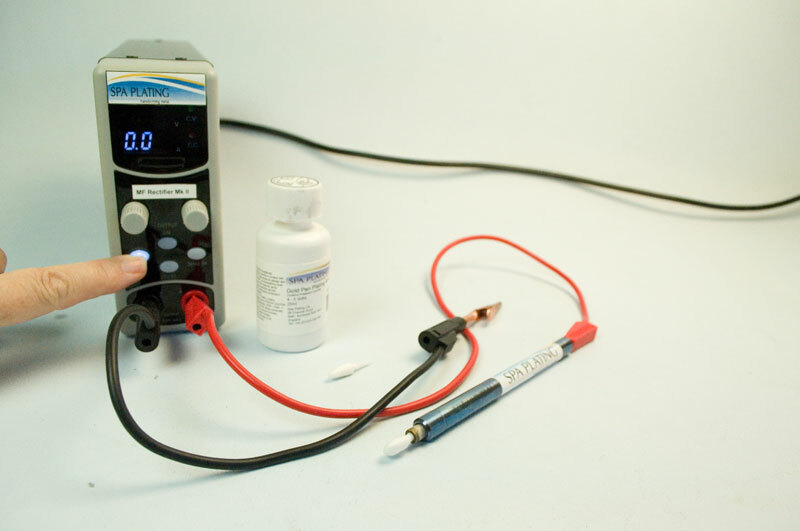 When the pen plating process is complete, press the “OUTPUT ON” button which will change from green back to white to show the pen plating circuit is powered off. 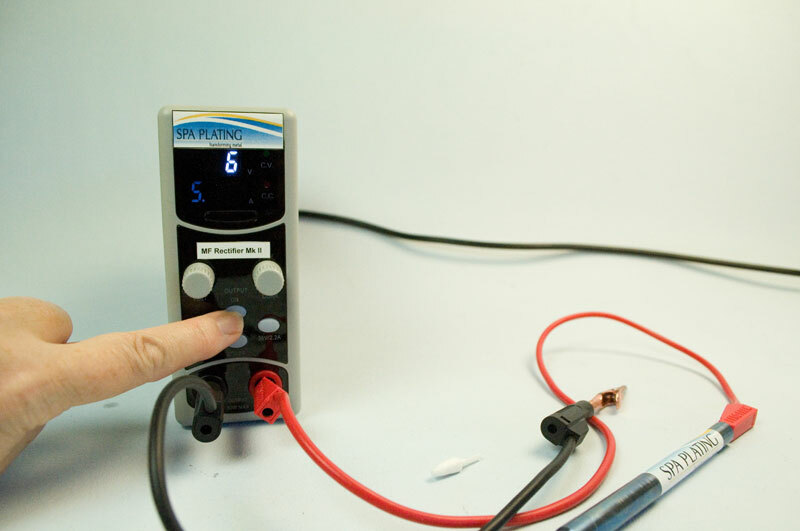 Please note that the current (amps) can be very low in the case of pen plating and may be so low (lower than 0.01 amp) that the current (amps) doesn’t register a current flowing – the display atill shows 0.00 amps. 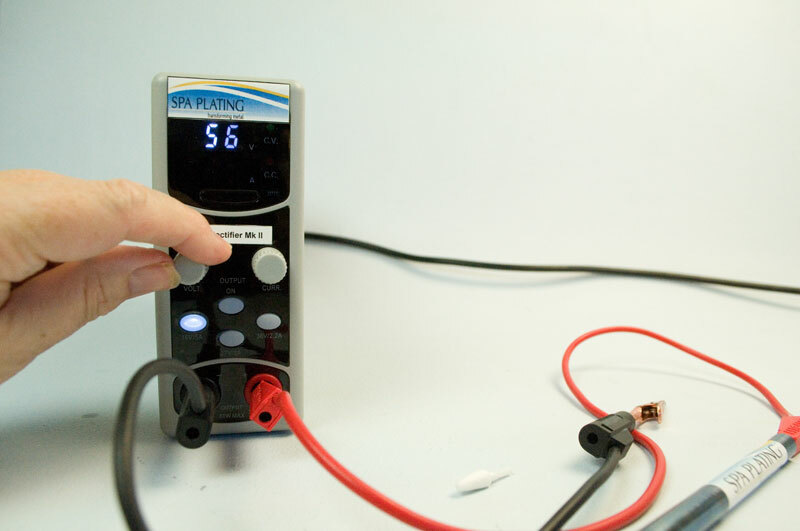 In this case, the only way to check the circuit, is if plating is actually taking place.